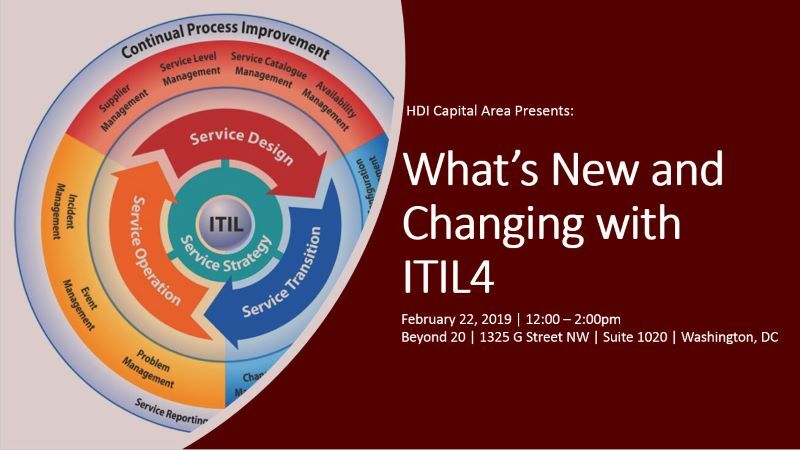 A major revision to the ITIL framework, ITIL 4, is coming out on February 28th. We're here to give you the latest and greatest details, including: what's changing, what's not, what the new certification path will look like, and when courses will become available. We will also leave lots of time to answer all of your burning questions. Join us for this informational session! For anyone still furloughed at the time of our meeting, we are offering $20 gift cards each to defray the cost of transportation to and from the meeting. Please just select "Furloughed" as your ticket type.